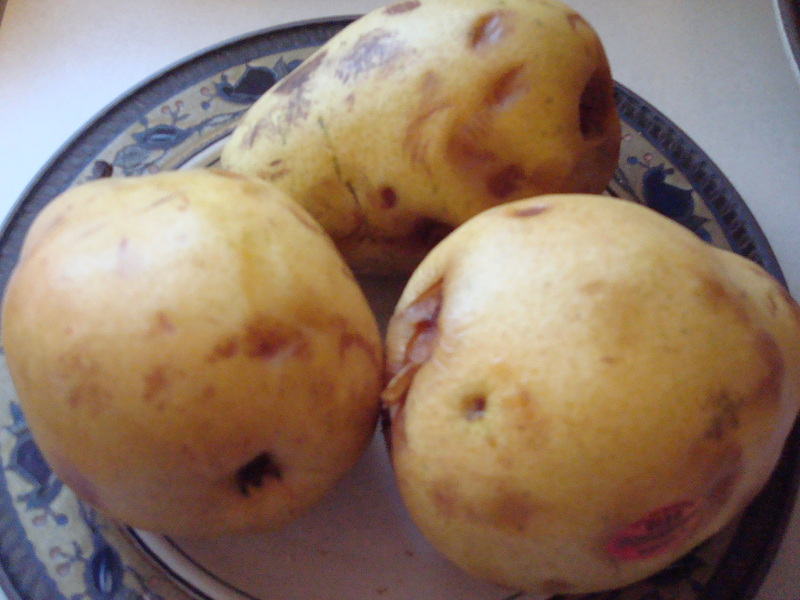 Look like potatoes, don't they? Every fall I buy pears. Every fall they sit in the fruit bowl and don’t get eaten. Every year I wonder, “Why didn’t we eat those pears?” So one year I decided to figure out how to bake a yummy cake with them. My grandmother, AKA Nana, always made a rum cake at the holidays which was insanely good. Even as a kid I loved it’s rummy-sugary goodness. I make it every year at Thanksgiving. But it was Christmas time and I didn’t want to repeat the rum cake so soon after so it was time to experiment. So I found a recipe online for a Pear Walnut Spice Cake. One look at the ingredient list told me I was on to something, but the pears were supposed to “float” in the cake and it called for raisins, which I knew my kids wouldn’t eat. And, have I mentioned I love figs? So, I started to improvise. I swapped out the raisins for figs. I added some brandy to soak and rehydrate the figs. I also added brandy to the glaze. Added a second glaze (‘cus why the heck not?!?!). Upped the vanilla content. Added a bunch more spices, because, sorry, only cinnamon doesn’t count as “spice” in my book. 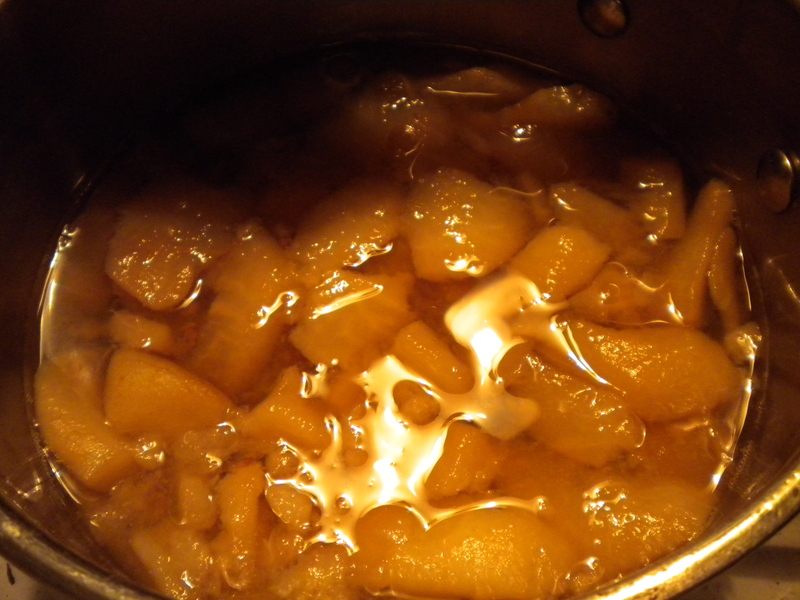 Oh, and I poached the pears in brandy and then pureed them to add some moistness to the cake. Ok, so I completely changed the recipe!!! I know!!! But what I got was sooooo good it was worth every change. It now graces our table every Christmas and I look forward to it every year. 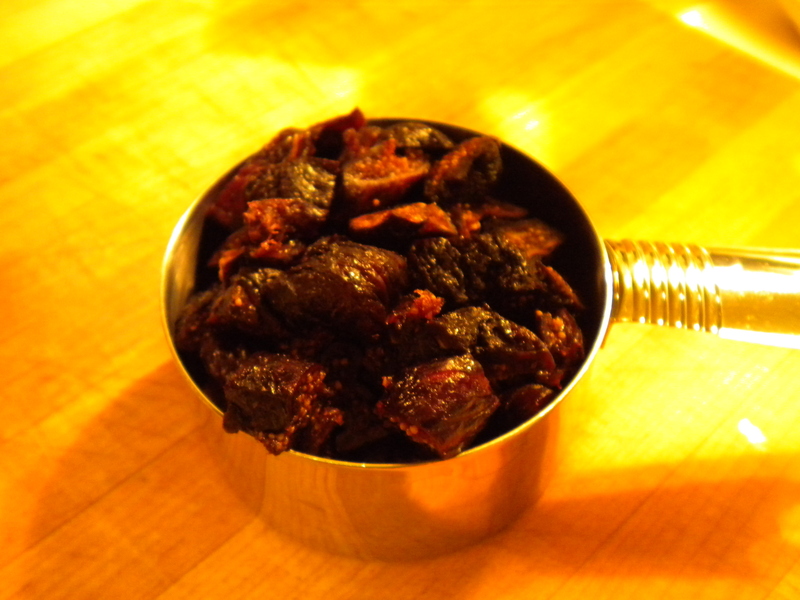 Place the chopped figs in a bowl and soak them in 1 cup of brandy or cognac until they are plumped. To make the cake: Beat the eggs and sugar in a mixer fitted with a whisk attachment (or using a hand mixer) until fluffy. With the mixer running, slowly pour in the vanilla and the oil. 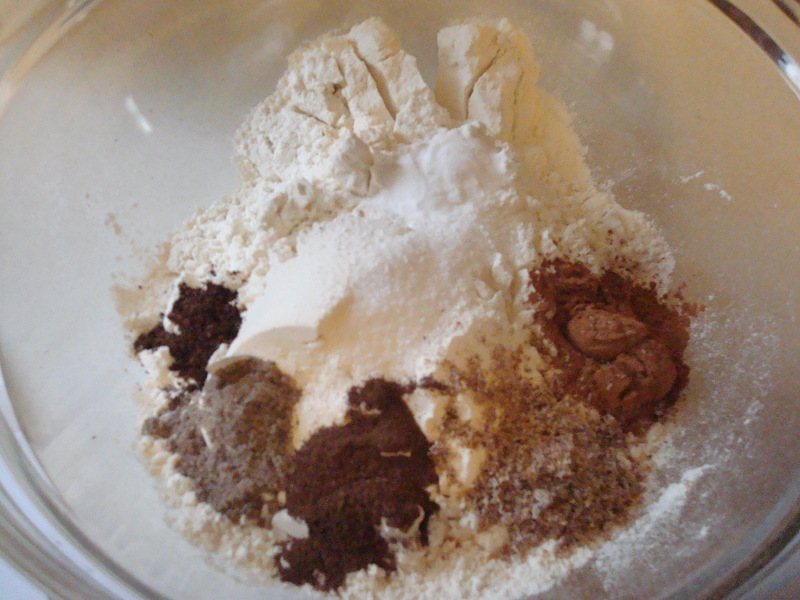 In a separate bowl, mix together the flour, salt, baking soda, cinnamon, cloves, nutmeg, cardamom, and allspice. 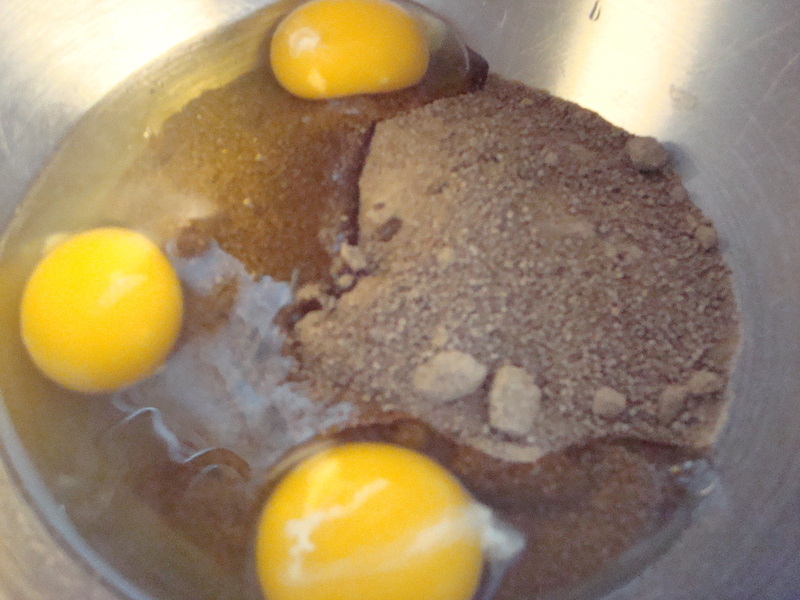 Mix into the egg mixture. Drain the pears and mix them with the figs (reserving the cognac the figs were soaking in – strain and save for glazes) and using an immersion blender puree mixture. Add the puree to the batter and mix until smooth. 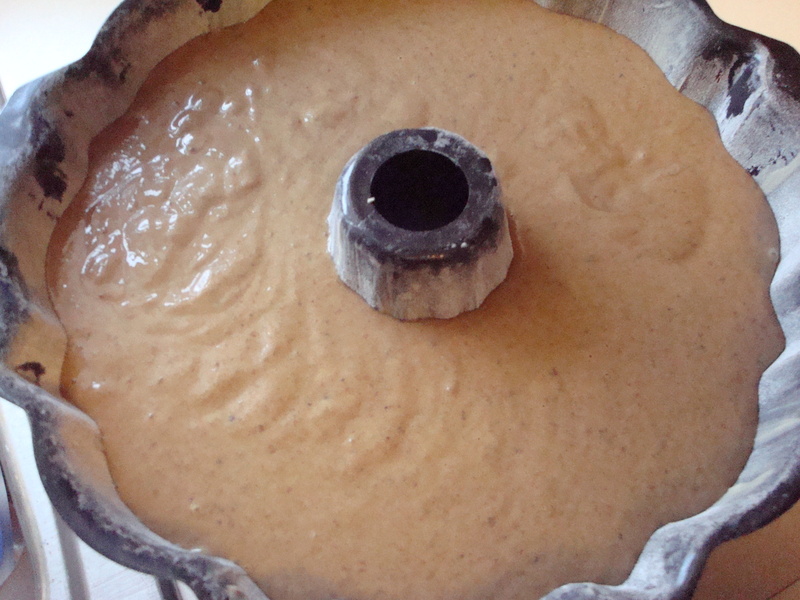 Sprinkle the walnuts in the bottom of a greased and floured Bundt pan. 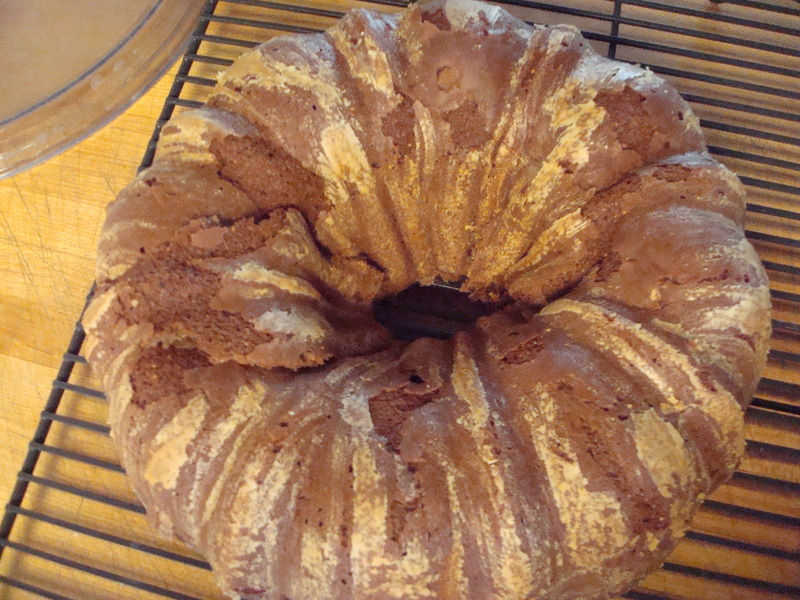 Spoon the batter into the Bundt pan and bake about 45 to 60 minutes, until springy and dry in the center. Immediately turn cake out onto a plate or wire rack to cool and prick with toothpicks. 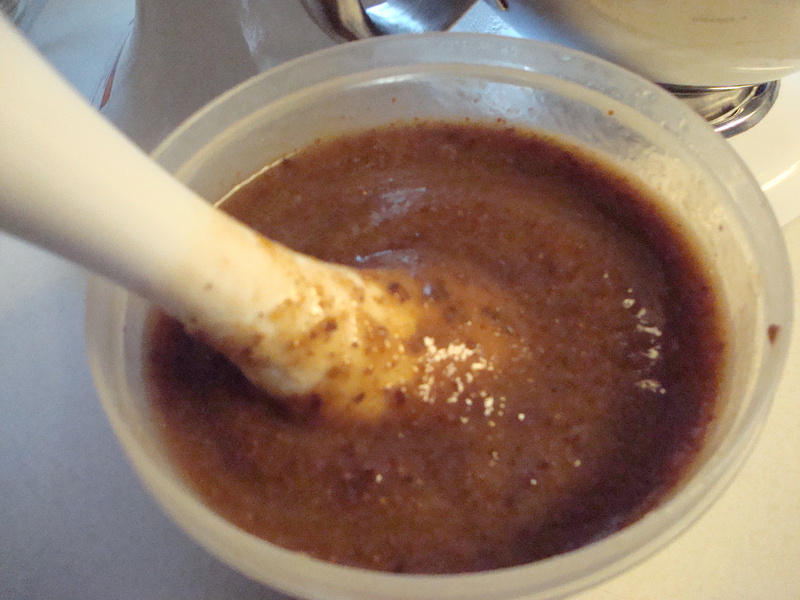 At this time prepare Glaze 1: Melt butter and stir in sugar and water. Boil 5 minutes while stirring constantly. Remove from heat. Stir in cognac. Apply glaze to cake in stages until the whole cake is soaked. Once the cake has fully cooled make Glaze 2. Stir the maple syrup, cognac, and sugar together in a bowl. With a pastry brush glaze the cooled cake by brushing the glaze onto all sides of the cake. Cover and store until serving. It sounds scrumptious and I love the stripey look to the cake…beautiful!